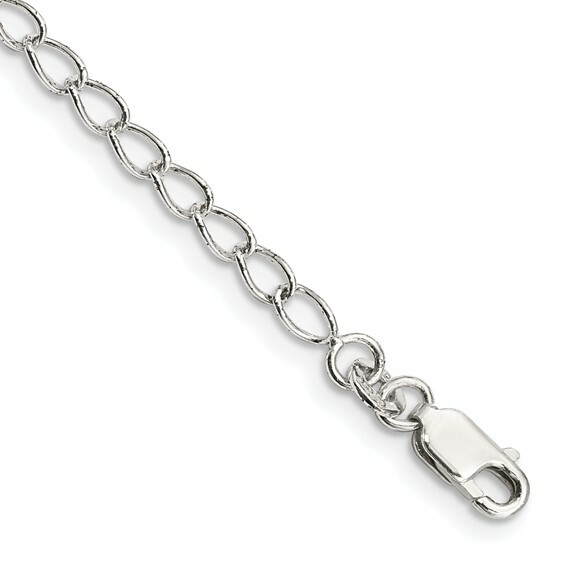 Sterling silver 16 inch half round wire curb chain has a lobster clasp. Width: 3mm. Weight: 4 grams.